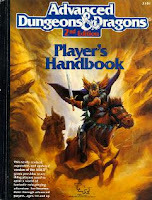 What does your favourite edition of D&D say about you? 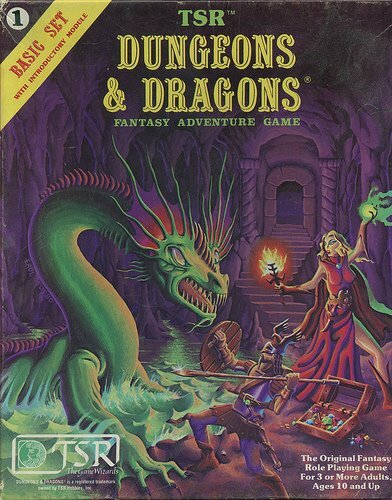 The 'editions wars' in Dungeons and Dragons are still firing up the internet and will probably die down until Wizards of the Coast pulls out the next shock move from their schedule. If you're a hippy liberal like myself, you probably see the merits in most or all the variations of the game, but you will still prefer one over the rest. So here's what your edition preference possibly says about your character and play style. You like to keep things simple. For you, there is little need for complex tables and rules coming out of the wazoo - you just want to be part of a fantasy story that plays out in your head and house-ruling is just a part of life. You're probably fond of history and have a large soft spot for nostalgia. The 70s were the days that roleplaying was at its purest and has since been sullied by mats, minis and far too many rules. This was a little box with three small books in, so the likelihood is that you're more of a minimalist who enjoys the simple things that life has to offer. You are not afraid of a few rules, but you much prefer to be able to drop into a game easily. Like OD&D fans, you don't want to be bogged down with tactical miniature movements, but you're happy enough to have characters represented by figures on the table. You're a breezy person with an easy-going outlook on life, content to add rules here and there for when it seems fitting. But you're also proud that you haven't strayed too far from Gygax's original vision and the popularity of Labyrinth Lord makes you feel all warm and fuzzy inside. You know what you like and you like what you know. When parents everywhere were rallying against these 'satanic' games, you were chilling with your friends rolling dice. You have a great attention to detail as the rules grow more complex and the character roster larger. You're persistent enough to get your head around the rules and layout and your imagination is ignited by fantasy artwork. Mapping and miniatures is your domain, but not at the cost of good roleplay. You prefer decisive mechanics with hard rules, than constant fiat. Oodles of rules don't deter you, but you prefer them tidy - which makes you a stickler for neatness. 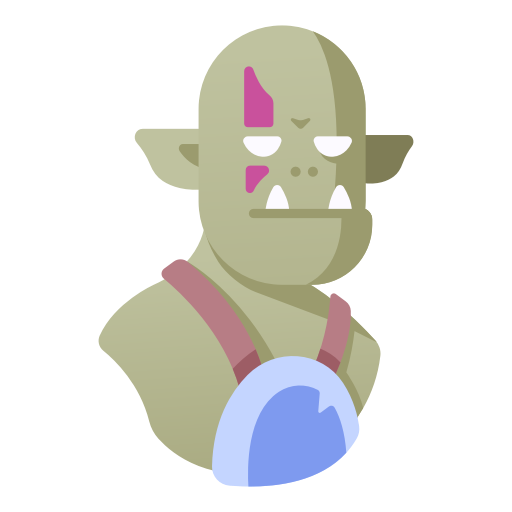 You're a perfectionist who knows what is unnecessary in life and what is logical, since the stripping down of Monks, Assassins, Barbarians and Half-Orcs in this edition. Other than this, you are very similar in character to 1st edition players, but could still write a long list as to why 2nd is obviously the superior version. You are a child of logic, preferring to shed Thac0 for a much simpler system called 'ascending AC'. Miniatures and battlemats make your dungeon-crawling all the more fun and you revel in the smallest monster details. You like options, plenty of options in order to play the best game you can. You laugh in the face of the mountains of splatbooks on the shelves. The more you can do with locations/characters/creatures the better. You're a fighter, not a lover. You imagine brandishing mighty flaming weapons and inflicting hell upon your enemies. You won't settle for ordinary heroes - you want supercharged ones with tremendous power. You have a tactical mind that's working at superspeed when surveying the battlefield. Optimising is your strong suit and you demand perfection from everything. You're not one for fluff - preferring to get into the nitty-gritty of battle. Who cares how many eggs a certain creature lays per month? You just want to know how it can kill you and vice-versa. I take exception to your definition of "Not one for Fluff" on the 4E. It is true, I am not one for fluff. However, that is because I don't want a game system defining things for me. For example, Lizardmen. If you are playing D&D since at least the release of the Sinister Secret of Salt Marsh, you have been shoehorned into having Lizardmen as Swamp Dwellers. 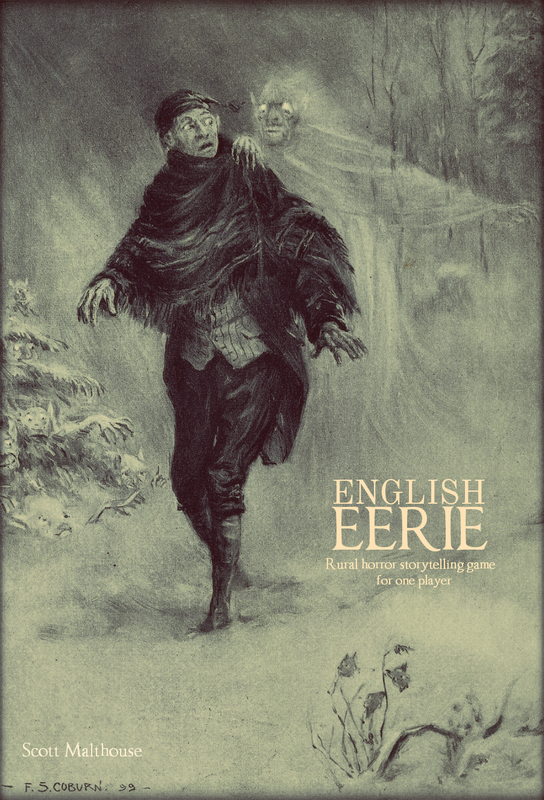 Every edition of the game, from 2nd edition forward, has stuck them into the swamps. This has always made no sense to me. To me, Lizards are desert creatures. They should be out there in the hot wastes, not out in sticky swamps. I would rather *these* kinds of things be left blank. I don't want you to describe the world for me. I want to describe it myself. This is why I learned to hate Forgotten Realms with a passion, because in order to do anything, I had to deprogram everyone of things that were published, and they were published EVERYWHERE. I don't need a book telling me every single market in a city. Let me make my own city. 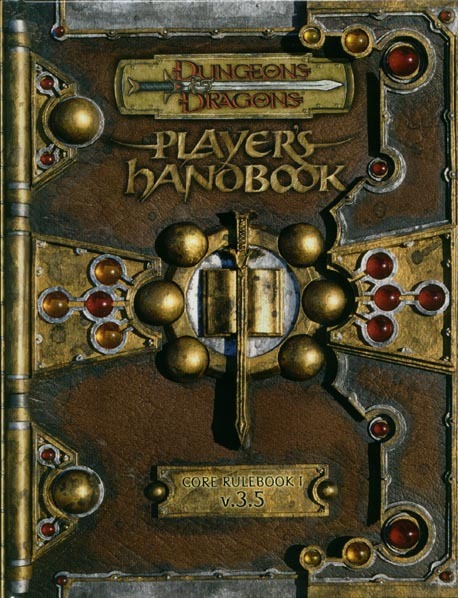 That is why, until about PHB3/MM3(4E) I really had liked 4E, because they didn't DO that with the edition... and then it all started to creep back into the main books again, instead of sticking to Ecology of sections of Dragon, where I feel it belongs. Back in the day we had house-ruled D&D with pre-Rolemaster, Arms Law. I guess our DM liked all of those charts. 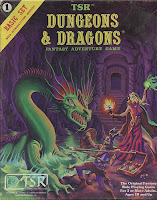 By the time that group had added Fiend Folio and Unearthed Arcana, I had moved onto The Fantasy Trip.